Since 1978, Trail King has served a wide variety of heavy-lifting customers with its unsurpassed line of hydraulic and mechanical trailers. 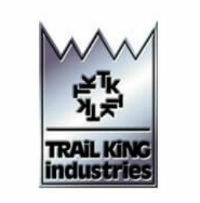 With capacities ranging from 12,000 to 1,000,000 pounds, Trail King trailers have earned their reputation as leaders in the construction and forestry equipment market, boasting quality, performance, and reliability that lasts. When your operation requires a large trailer to haul logs or road paving material, Papé Machinery Construction & Forestry has the Trail King products that will keep you moving.